The Demon is a drawing by Luis Carlos A which was uploaded on January 20th, 2013. 28.000 x 22.000 x 1.000 cm. 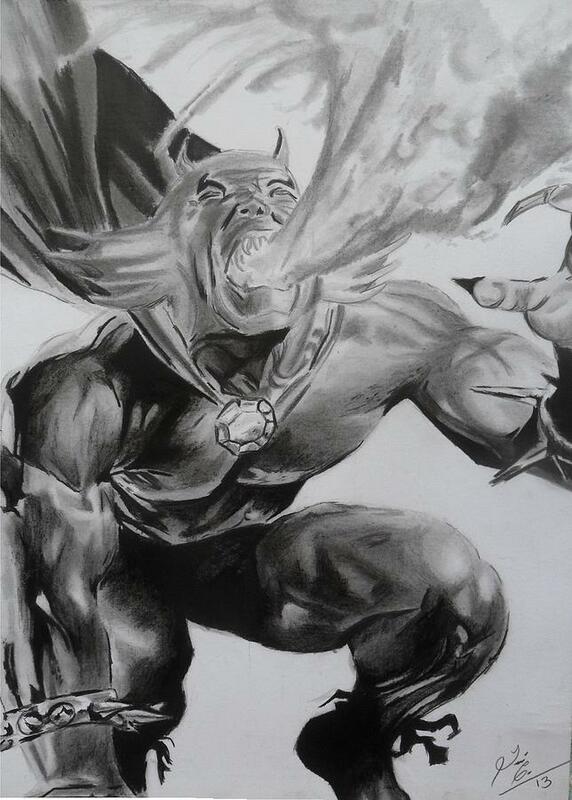 Etrigan the Demon is a superhero from the DC Comics universe, created by Jack Kirby. Etrigan is a demon from hell who often allied with the forces of good. It looks like a muscular and stocky. There are no comments for The Demon. Click here to post the first comment.